Like Batman, Los Angeles understands exactly how useful spotlights can be. Unlike Batman, we use them as a LAVISH EVENT! signal, not a DISTRESS! signal (but who cares because potato, po-tah-to). Asics America, the sponsor behind the LA Marathon, is borrowing our city’s signature method of grabbing attention for this weekend’s run. 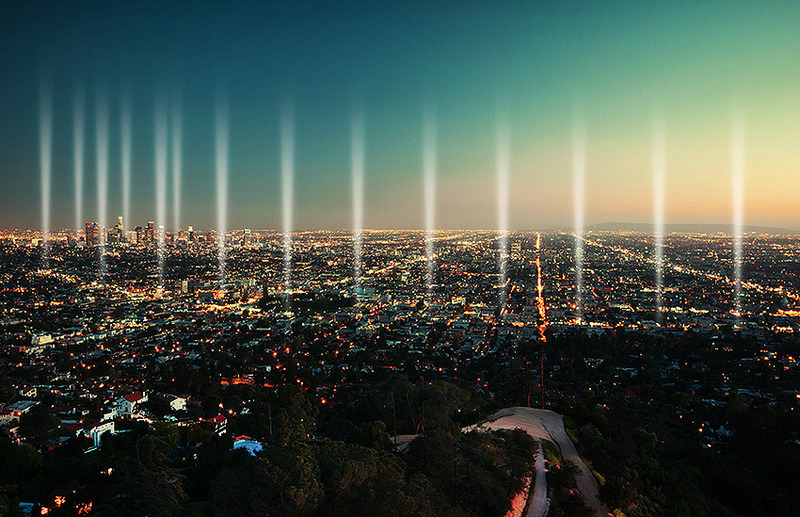 On Friday, the company will activate 124 spotlights—equivalent to 29,100 light bulbs—which will mark each mile on the marathon route from Dodger Stadium to Santa Monica. As far as Asics knows, this will be the largest course lighting activation ever (and might even be visible from space). The switch will be flipped at a lighting ceremony this Friday night at 8:40 p.m., and the spotlights will stay illuminated until 10:15 p.m. If any of the six astronauts currently in space are reading this right now, do let us know if L.A. looks a little brighter that night.